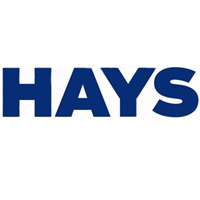 Hays Plc (LON:HAS), First quarter trading update for the three months ended 30 September 2018. Note: unless otherwise stated, all growth rates discussed in this statement are LFL (like-for-like) fees, representing organic growth of continuing operations at constant currency. “We have made a good start to our financial year, delivering another record quarterly net fee performance. Against increasingly tough comparatives, net fees in our International businesses grew by 11%, including 10 all-time records. Germany and RoW continued to perform strongly, Australia delivered its 17th consecutive quarter of growth and, despite ongoing economic uncertainties, our UK business continued to grow modestly. In the first quarter, ended 30 September 2018, Group net fees increased 7% on a headline basis and 9% on a like-for-like basis versus the prior year. This represented our 22nd consecutive quarter of year-on-year growth. The relative strength of sterling against the Australian dollar and the Euro reduced our reported net fee growth. Our Temp business, which represented 57% of Group net fees, grew 8% in the quarter. Net fees in our Perm business, which accounted for 43% of Group net fees, grew strongly, up 11%. There were no working day impacts year-on-year in the quarter. The Group net fee growth exit rate was below that of the quarter as a whole at 7%. The reduction, which was driven by Europe including our largest market of Germany, was in part due to increasingly tough growth comparatives versus the prior year, and a growth rate in Europe in September of 7%. Consultant headcount was up 5% in the quarter and up 7% year-on-year, boosted by our normal seasonal graduate intake, together with ongoing selective investment in markets where we see strong growth opportunities like Germany, the USA and China. We expect that sequential increases in Q2 will be below those of Q1. During the quarter we opened two new offices, one in Belgium (Herentals) and one in the Czech Republic (Brno). Looking to Q2 FY19, our Germany business benefits from two additional trading days versus prior year. We expect this will have a c.1% positive impact on Group headline Q2 FY19 net fee growth, and c.3% positive impact on Germany headline growth. Exchange rate movements remain a material sensitivity to the Group’s reported profitability. If we re-translate FY18 profits of £243.4m at 9 October 2018 exchange rates (AUD1.8510 and €1.1442), we currently estimate a negative c.£5m operating profit currency headwind for FY19. This represents a negative c.£8m reversal from the position at our preliminary results on 30 August 2018. Australia & New Zealand (ANZ) delivered another good quarter with net fees up 7%, despite tough comparatives. This represented our 17th consecutive quarter of growth, and Q1 FY19 was also our strongest net fee quarter since 2008. Growth in our Temp business, which represents 67% of our ANZ net fees, was strong at 10%, while growth in our Perm business was 1%. Private sector net fees, which represent 67% of ANZ, grew by 7%, with public sector net fees up 5%. Australia delivered another good quarter of net fee growth, up 9%. Market conditions remained favourable, and growth was broad-based across most States and specialisms. Our largest regions of New South Wales and Victoria, representing 58% of Australia net fees, were up by 9% and 11% respectively. Queensland grew by 11%, with South Australia strong at 18%. ACT grew by 5%. At the Australia specialism level, net fee growth in IT was again excellent, at 26%. Office Support grew by 12%, and Sales & Marketing delivered an excellent 20% growth. Net fees in Construction & Property, our largest business in Australia, declined by 1%, and Accountancy & Finance declined by 3%. New Zealand trading (which represents c.4% of ANZ net fees) remained tough, and net fees fell 29%. We have taken action to improve our performance. Consultant headcount in ANZ grew 4% in the quarter and is up 7% year-on-year. Our largest market of Germany delivered another record net fee quarter, with strong growth of 13%, against increasingly tough comparatives. Our Temp & Contracting business, which together represented 83% of Germany net fees, grew by 10%. Contracting, which represented 56% of Germany net fees, grew 8% and Temp, 27% of net fees, delivered strong growth of 14%. Our growth in Perm continued to be excellent, up 29%. Our largest specialisms of IT and Engineering grew by 8% and 9% respectively. Growth in Accountancy & Finance was again excellent at 27%, with Sales & Marketing up 18%. Construction & Property grew by 9%, and Legal by an impressive 69%. Consultant headcount grew 4% in the quarter and increased 7% year-on-year. Growth in the United Kingdom & Ireland (UK&I) was 3%, led by our public sector business up 8%. 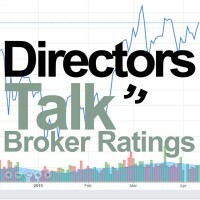 This was in part due to easier comparatives following the negative impact of IR35 changes in the public sector, implemented in April 2017 and which had a negative impact on Q1 FY18. Conditions remained broadly stable in private sector markets, which represented 74% of UK&I net fees and grew by 1%. Our Temp business delivered good growth, up 7%. Growth in Public sector Temp was strong, up 15%, with the Private sector up 4%. Net fees in Perm were down 2% in the quarter. All regions traded broadly in line with the overall UK business, with the exception of Northern Ireland and the South West & Wales, up 15% and 12% respectively, and the South East and the Midlands, down 7% and 5% respectively. Our largest UK region of London grew by 5%. In Ireland, our business delivered another strong performance, with net fees up 12%. At the specialism level, IT delivered strong growth in net fees, up 14%. Construction & Property grew by 7%, with Office Support up 5% and Accountancy & Finance up 1%. Education continues to be impacted by tough market conditions, falling 12%. Consultant headcount grew by 3% in the quarter, driven by our seasonal intake of graduates. Year-on-year our headcount declined by 1%, as we continued to focus on driving consultant productivity. Our Rest of World division, encompassing 28 countries, delivered strong net fee growth of 14%. 15 countries grew more than 10%, including nine all-time quarterly records. Europe-ex Germany produced good growth of 9%, despite increasingly tough year-on-year comparatives. France, our largest RoW market, grew by 8% while Spain delivered another strong quarter, up 16%. Belgium, our fourth largest RoW country by net fees, grew 3%. Asia delivered excellent performance overall, with net fees up 20%. China, our third largest RoW country, grew by an excellent 29%, including Hong Kong net fees up 41%. Japan’s growth of 19% was also strong. Net fee growth in the Americas was excellent, up 22%. The USA, our second largest RoW country by net fees, delivered another excellent quarter, growing by 27%. Growth in Canada was also an excellent 27%, while Brazil net fees fell 3%. Mexico remains a tough market, with net fees down 7%. Consultant headcount in RoW was up 7% in the quarter and 14% year-on-year. Net cash was c.£80 million as at 30 September 2018 (30 September 2017: c.£60 million; 30 June 2018: £122.9 million). The decrease in the quarter was in-line with our expectations and is due to the normal timing and phasing of cash flows. As at 30 June 2018, Hays had c.11,000 employees in 257 offices in 33 countries. In many of our global markets, the vast majority of professional and skilled recruitment is still done in-house, with minimal outsourcing to recruitment agencies, which presents substantial long-term structural growth opportunities. This has been a key driver of the diversification and internationalisation of the Group, with the International business representing c.76% of the Group’s net fees, compared with 25% in 2005. Our c.7,500 consultants work in a broad range of sectors, with no sector specialism representing more than 21% of Group net fees. While Accountancy & Finance, Construction & Property and IT represent 50% of Group net fees, our expertise across 20 professional and skilled recruitment specialisms gives us opportunities to rapidly develop newer markets by replicating these long-established, existing areas of expertise. In addition to this international and sectoral diversification, the Group’s net fees are generated 57% from temporary and 43% permanent placement markets, and this balance gives our business model relative resilience. This well-diversified business model continues to be a key driver of the Group’s financial performance.